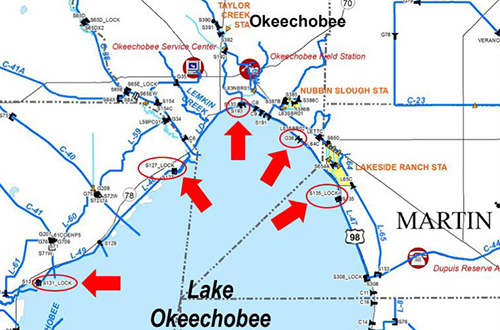 West Palm Beach, FL - For boaters navigating to and from Lake Okeechobee, the South Florida Water Management District (SFWMD) will close several navigation locks on the north shore and reduce the operating hours of a fifth lock for safety reasons starting Friday, March 29. The closures are a result of lower water levels in Lake Okeechobee. Injury and lock damage could occur when boats pass through these structures at water levels below any of the designated safety limits.